Famous in Paris, infamous in London, Verity Durant is as well-known for her mouthwatering cuisine as for her scandalous love life. But that's the least of the surprises awaiting her new employer when he arrives at the estate of Fairleigh Park following the unexpected death of his brother. Delicious is a hard book to review. Mostly, I really found myself enjoying a good portion of it... but then I found myself frustrated, because a lot of the story felt very confusing, which may or may not have been due to the constant references to past events in the book's back story timeline. Of course, the moment I started getting confused, the timeline would straighten itself out, then I would shrug and move on. After all, this is a fairly light historical romance that involved a very steamy build-up involving food, mysteriousness, and stolen moments. I recall that I had likened the relationship between the couple in The Luckiest Lady in London as a drawn out dance of seduction (not in those exact words, of course), very much like foreplay even though no one even touches for half the book. The atmosphere of that entire first half of The Luckiest Lady in London was very much thick with sexual tension that had my own coils ready to spring. Well, Delicious was probably meant to be the same... but with food and lots of overwrought emotions. I would have to say that the plot point in the this book I enjoyed the least (and even feel conflicted about) would have to be the actual romance itself. And... well, it's hard to explain. I didn't dislike the romance. I loved how the author uses food and Verity's own inherent sensuality to create the sexual tension between her and Stuart. But I felt like it might have been a bit overdone in some ways... Stuart immediately falls in lust with his mysterious cook because of her cooking--that I can kind of comprehend (actually, no, not really, but I'm trying to). But to fall in love with her so quickly afterwards, never having even truly met her, and knowing only that she's an awesome cook and a sensual creature is a little more difficult to accept. We could argue that maybe he senses the Cinderella he met ten years prior to the book's story line in her... but even THAT particular reminiscent romance was nothing short of insta-love. Frankly, I actually found the strange, almost antagonistic romance between Lizzy and Mr. Marsden a bit more fun to follow, though it wasn't quite elaborated on as much as our main couple's love story. There might have even been a modicum of insta-love on Mr. Marsden's side, but I was never able to confirm that, and so saw only the bickering and the slow build-up of friendship and respect between the two. I wish we could have seen more of the Lizzy and Mr. Marsden love story, to be honest. The only other plot point I'd say was weak would be the scattering of Cinderella references. I'm not entirely sure they really work if you're looking for a retelling in Delicious, but they would have been a nice addition if they didn't get harped upon too much. Otherwise, I actually really enjoyed Delicious. As per Sherry Thomas, the characters were wonderful! Verity is strong and independent. And in spite of his standard-ness, Stuart has his charms. The side characters were interesting in their own way, though I must admit that I was very annoyed with the Dowager Duchess of Arlington because NOTHING she says or does makes any sense to me. Sherry Thomas is an excellent writer, and typically an excellent story teller. Delicious is conflicting to me, mainly because it was written up to par with Thomas's work... but I'm not entirely sure the story itself was told in the best manner. As stated above, there were many moments when I found myself confused about what was going on, and then there were moments where I wasn't sure I could suspend my disbelief long enough to enjoy the book. But, once again, the characters are great even if the story is a little unbalanced. And Sherry Thomas proves to me once again that I can love her books even if I don't entirely love the story. So I pick up reading challenges every year, ever since the first time I discovered Goodreads' book reading challenge. It's such a simple challenge of just choosing a number goal and reaching it--it gives new readers a chance to push themselves to read more books, and it gives seasoned readers a chance to read EVEN MORE books. In 2012, I made a goal to read 25 books and completed my goal by reading 27. In 2013, I started my goal at 50 books and met that goal in June, so then I increased my goal by 25 and met that goal not long after. I further increased my goal to 100 books and completed the goal at 103 books read! That's a huge difference from 27 books the previous year, so I got really confident. 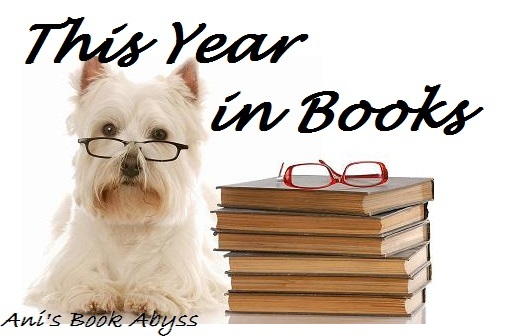 In 2014, I started my goal at 100 books! By May, I was nearing my goal with 90-ish books, so I increased my goal by increments of ten for the next two months, landing on 120 books... and then I really overshot that goal by reading a grand total of 178 books! In 2015, I increased my goal to 150 books... while my total was 177, I'm not sure I really accomplished as much as I should have. In 2016... well... I started with a goal of 150 books again. In October, being so much closer to my goal with somewhere around 130 books read, I increased my goal to 160 books. As of today, three days from the end of the year, I have finished 155 books... So I'm not sure if it counts as completing my goal. For 2017, I'm going to keep a constant. I will set my number goal at 150 again. But this time, I will keep it at 150 and not increase or decrease it. 2016 was a fairly good year for reading, but at the same time, it seems as if I had slowed down quite a bit. For one, I might have bit off more than I could chew. I cut down on reading challenges, but at the same time, I picked up a fairly difficult to complete reading challenge. It may or may not have hindered my progress a little bit. Meanwhile, small challenges that took place within the span of one month, two months, or one whole summer, jumped out at me, and I knew wanted to participate in almost everything. But with other year-long challenges taking priority, my reading life became more of an obligation than pleasure. So while I will still participate in some reading challenges in 2017, I think I'm also going to take it easy. If I don't overburden myself with too many challenges at the beginning of the year, then I'll be free to choose some of the short challenges interspersed throughout the year. 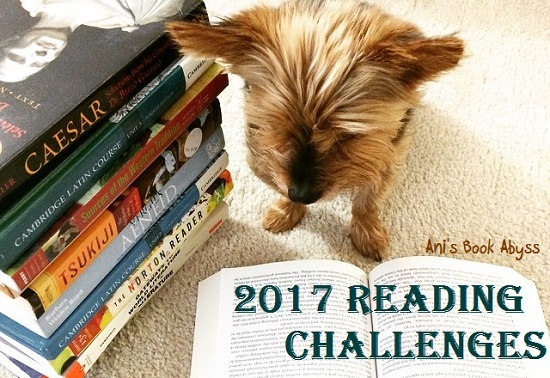 For a full summary of all the challenges I will be participating in, I will keep track of them at my 2017 Reading Challenges page. The link will remain at the top of my blog. I will update this post with said link when I actually get a chance to create that page. On a side note, I usually participate in the Booklikes Reading Challenge, too, simultaneously. But to be honest, I'm not sure if that's necessary, as both challenges are the same thing. And also, with the slowness of Booklikes at intermittent times, I'm not sure if I care enough to update my book stats regularly at Booklikes. These are less intensive challenges I have pre-chosen for 2017. There will probably be more, but for now, this is it. I'm considering other such challenges as COYER or any other series challenges that may come up. 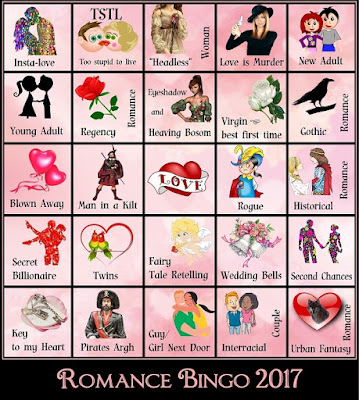 Obsidian and Moonlight may put out more Bingo cards throughout the year, and sometimes another random reading challenge may strike my fancy. Mainly, though, I just want to keep it light and fun. While some challenges in 2016 were fantastic, others started feeling a bit heavy when I couldn't keep up *coughcough*Bookish-Resolutions*coughcough*; though to be fair, maybe I over-estimated my own commitment or determination. So for 2017, it's just going to be laid back and fun! That is all! I will also be using this post as one of my Top Ten Tuesday topics! The Top Ten Tuesday for this week is Top Ten Best Books of 2016. And as a broad subject, we may choose different genres, books read in the year, or books published in 2016... pretty much anything! A lot of stuff happened this year, and even though I ended up drifting into a reading (and reviewing) slump when November rolled around, and into December, I think I still accomplished a lot of reading, and, in general, accomplished a lot of Bookish Activities. This year, I participated in fewer Reading Challenges than in the past, but I managed to do quite well in completing them. Then there was a general effort to try to finish series I've already started, as well as the starting of new series that I totally intend to finish reading in 2017. I've picked up over 50 new-to-me authors, participated in a few read-a-thons, and then there were the bookish activities taking place on Booklikes, such as Halloween Bingo, which brought me out of my usual reading comfort zone. Finally, 'Ani's Book Abyss' was reborn at a completely new location. And I'd like to say that I've put quite a bit of work into this project. And so far, things seem to be going quite well. I started creating a lot of organizational spreadsheets to keep track of different aspects of my bookish and blogging life, and according to one particular spreadsheet, I have, at current, posted 400+ reviews! I will definitely kick back and make a big fuss when I post review #500. And if I ever make it to 1000 reviews... well, that would be quite interesting as I feel it would probably take another couple years to achieve. Of course, I still have around 50 reviews I've yet to transfer from Goodreads and Booklikes. This year was a pretty good year, all in all! This was a given. I loved this series, and Blue Lily, Lily Blue was my favorite book of 2014. 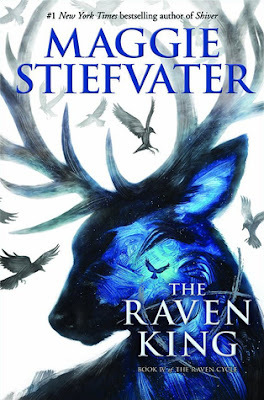 If The Raven King had been written in 2015, then it would have been my favorite book of 2015. But the publication date got pushed back a year, so it became my favorite book of 2016. But all rambling aside (because the above paragraph probably meant nothing, really), The Raven King was a pretty awesome conclusion for one of my most favorite series of current. 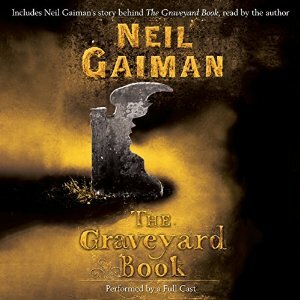 This is a young adult/children's story that hit a lot of chords for me. I absolutely loved it, and it probably also helped that the full cast audio was amazing! I am quite surprised by how much I loved this book considering the mediocre quality of the past two books Kasie published. 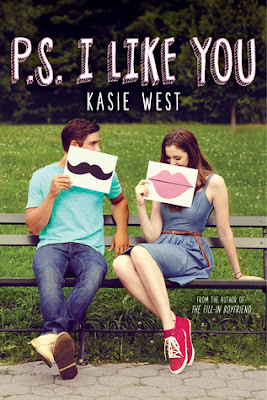 In fact, I had this whole pep talk with myself about how Kasie and I would probably be going out separate ways soon if this next book didn't turn out as fabulous as her debut novel did. I didn't even auto-buy it because I didn't want to waste my money... so I borrowed the book from the library. And then proceeded to devour the whole thing and have a nice little Book Hangover afterwards. Well played, West. Well played. I will be purchasing your next book due out within the next couple months. Now I'm conflicted about whether or not to buy this book and add it to my collection. P.S. I Like You is a 2016 publication. Truth be told, while Raybourn has an excellent writing style that is both beautiful and atmospheric, I had found it hard to really love her Julia Grey series like many others have. I have a big problem with unbalanced romances and irrationally unreasonable heroes who only know how to be pissed of for 99% of the book. In fact, I didn't even like the hero of Julia Grey until he started to sort of develop a sense of humor in the last book of the series. On the other hand, I loved the heroine of Julia Grey, the titular character herself, though I wished that she hadn't been so obsessed with her love interest. So I wasn't entirely ecstatic to start reading A Curious Beginning. But, boy am I every so glad I DID decide to read it, because it was AMAZING! I absolutely loved Veronica Speedwell. And while I didn't love her companion, Stoker, he was so much more tolerable than the hero in the other Raybourn series, and so much more readily lovable. I also loved that this book didn't really settle into a quick romance, but presented a sweet, intimate friendship between Veronica and Stoker. I am totally looking forward to the next book, to be published in January of 2017! One more month!!! While the concluding book to The Dregs duology wasn't as wonderful as the first one, it still presented us with a great story, great characters, and great writing. There were a few snafus in the story line, and the ending was a little conflicting. But nonetheless, I absolutely loved this book to pieces, but probably not as much as I loved all of our characters. 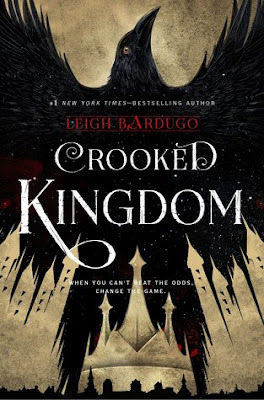 Crooked Kingdom is a 2016 publication. Sherry Thomas has a knack for writing and characters, even if her story lines tend toward the chaotic and confusing. I can understand why a lot of people did not care for The Elemental Trilogy as a young adult fantasy--the world was always vague and the magic system a bit sketchy. Even by the last book, the world was still kind of vague, and our main villain remained a simple dark enigma that needed to be destroyed, with little insight into his evilness. But I cannot deny that I absolutely loved the characters of Titus, Iolanthe, Kashkari, and pretty much everyone else. Their growth and development was great, and their interactions were wonderful. Emotional scenes packed so much FEELS that I was extremely overwhelmed by the abundance of FEELS. Again, if it is one thing I can say about Sherry Thomas: She definitely does excellent characters, defines memorable character interactions. To be honest, The Forbidden Wish actually felt a little unbalanced at times, written in first person POV from our Jinn's side of things. I would have loved to see more from Aladdin or the princess or even some of the princess's handmaidens. 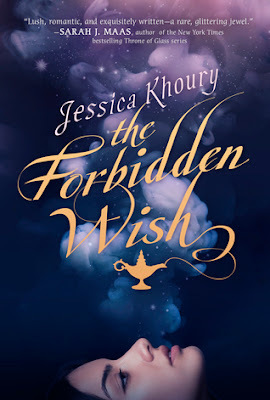 But in the end, The Forbidden Wish was an amazing retelling of Aladdin, bringing to the forefront an abundance, not only of a girl-power and strong characters, but making an epic love story not at all a mushy, fluffy event. Instead, even while The Forbidden Wish was based entirely upon a love story, it turned out to be so, so much more! The Forbidden Wish is a 2016 publication. I don't understand how I loved this book at all. If ever there were a book that lacked the most basic of story book traits (i.e. a main conflict, a structured outline... an actual story! ), it would be Written in Red. 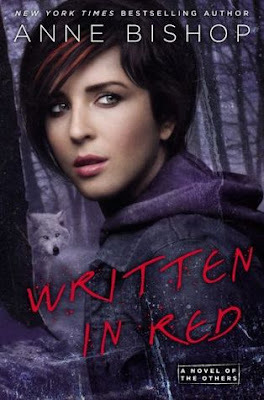 Written in Red is the story of how a girl runs away from captivation and joins a community of shape-shifting, man-eating creatures called 'The Others', and ends up sorting their mail for a living. Meanwhile, things happen and somehow, even though these scary creatures don't like humans, they end up loving our heroine... for no apparent reason other than she's really good at sorting their mail. Yeah. I absolutely DID just write that last sentence. This book was all sorts of strange. But at the same time, I found I couldn't stop reading this book, nor could I stop enjoying it. And somehow, I ended up finding the book strangely endearing. For no reason I can comprehend. I look forward to each new Cindy Gerard book ever since becoming a big fan of hers. I should probably go back and read all of her backlist. The Way Home was a pleasantly surprising read, both quietly emotional, and wonderfully thought-provoking. While expecting a full-out romantic suspense from her, you instead end up with a contemporary that has a side serving of romantic suspense. I'd almost categorize this book as a sweet and subtle melodrama just based on the romantic angst that hits you where it hurts the most, in all the best ways possible. I loved this book. I loved the story. I may not have been in love with any of the characters. But in the end, this was a wonderfully written book. 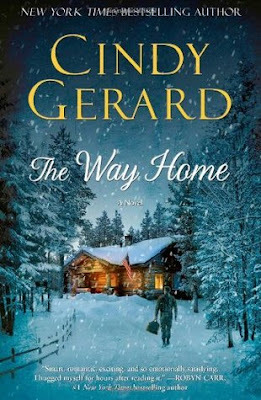 Special mention to Cindy Gerard's 2016 release, Taking Fire, as it was also lovely and sweet amidst the excitement of the suspense. 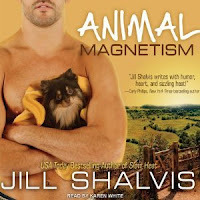 As a second chance romance, this book also managed to hit a lot of the right chords with me, even as there were a few things that might not have sat well for me. Taking Fire lost to The Way Home if only because of the distinctive, disjointed story line that cuts off the main story and then enfolds a sort of short sequel into the concluding chapters. But otherwise, both parts of the book were very well done. 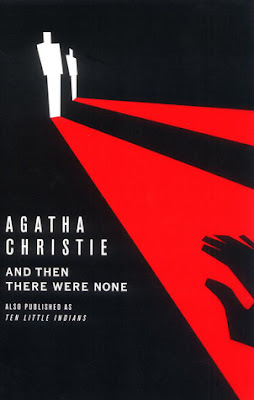 I can see how Dame Agatha is such a celebrated mystery writer. The above ten books are honorable mentions, because while they weren't my top favorites, I still feel like they deserve a mention, as they were very enjoyable books that I, indeed, loved a lot. New to me authors were a pleasant new surprising love for me in Shirley Jackson, Sarah Addison Allen, Addison Fox, Amanda Quick, Jeannie Lin, and Yangsze Choo. Pamela Clare and Jill Shalvis are always delights! Jeannie Lin brought back nostalgic thoughts of my childhood, growing up and watching wuxia series. 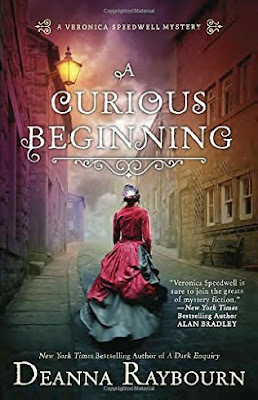 Amanda Quick is a great new introduction into the Historical Romance/Historical Mystery... even if all of her books are exactly the same. Addison Fox is a new author for me to keep an eye out for; and Sarah Addison Allen has some of the most interesting, strangely enticing imagery and descriptions. This series was so awesome, probably because the main heroine, Rachel de Luca, is so crazily awesome in her straight-forward, no holding back, bitchy sort of way. It also helps that her dog, Myrtle, is the most adorable fictional blind bulldog to grace any literary page I've read. Mason isn't bad either, although I must admit that he was better in the first two books, then kind of starts becoming a bit too standard. The kids are great too--Rachel's twin nieces, and Mason's two nephews. I read this entire series within a month, and not-so-patiently look forward to the next book. I don't think I will ever stop asking myself how I managed to NOT finish reading all the books in this series after I read Grave Mercy two years previously. This series is wonderfully built with great characters, an extensive world that expands upon an interesting time in history, and actually made me care about the political aspects of a story. On top of that, this series is three different books with three different characters, all boasting three very different kinds of story lines. And what have I always been saying about His Fair Assassin? NUN ASSASSINS!! That's what. 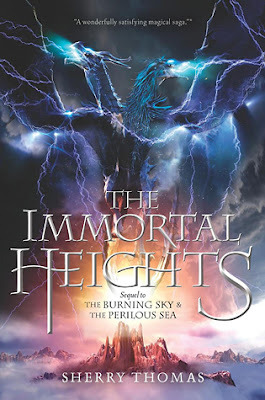 I want to say that I love these series because of the serviceable writing that is both smooth and witty, with the ability to draw you right into the story, making you forget that you had already read this story a book ago in the same series. It's partially true. But really, I think I might love this series because of the Dust Bunnies. Nonetheless, I am definitely going to finish the series--there are a total of thirteen books to get through total. That means I've got nine left unless our lovely author decides to add more books. Jayne Ann Krentz writes as two other authors: Jayne Castle, mentioned above as author of the futuristic Harmony series, and Amanda Quick, the historical author counterpart. Books written by Jayne Ann Krentz are set in the contemporary times. But it doesn't escape my notice that even with a few subtle difference, every single one of JAK's books are exactly the same formula for each of the three time-settings. But that doesn't seem to keep me from being drawn to them--all books by JAK are certainly made of addiction and everything un-put-down-able. I will continue to read Arcane Society and am intrigued that it is starting to interweave with Harmony. I didn't really like the first book in this series, but I'm glad I persevered and somehow made myself read the second book. The second book was much more enjoyable, and then the third, fourth, and last books were even better than the previous. Unlike many others, I actually enjoyed the last two books much more than the original three. Heather Wells is definitely a very good example of why I like to give authors and series second chances. You never know if you'll end up loving said authors or series despite the crappy introductions. Lucy Valentine is a cozy mystery that is quite enjoyable and I look forward to finishing the rest of the series. The characters are lovely and the mysteries well-outlined. There are three more books and one short story to finish. My main plan for the year of 2017 is trying to finish up a lot of the book series I still have not finished reading. Many of them came to an end in 2015 and 2016, and that tells me that it's time to put away. Many others have just been sitting on my TBR for too long. Others still are just long, ongoing series I'd really like to catch up with so I don't feel guilty that all the book installments are just sitting around, waiting to be read. Of course, it probably doesn't help that I'm also notoriously bad about starting new series before finishing others. I mean, just via my 2017 Reading Assignment Challenge, I will be starting eight new series... even if one will be completed as it is just a duology. 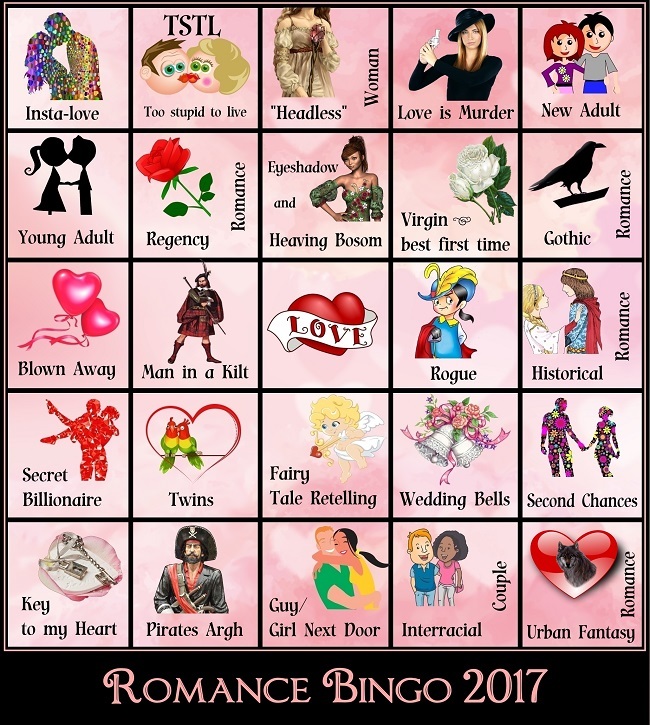 And then, with the Romance Bingo 2017, I will be starting at least, maybe, four or six others depending on what I choose to read for the Bingo game. I know also, however, that I also will be finishing a few series, so hopefully that makes up for something. Or at least I'll be trying to catch up with or finish certain series. Anyway... looks like I've got a big year ahead of me. And if the above listed books aren't enough, there are a few 2017 releases I am impatiently looking forward to reading.